UPDATE JUNE 24 2018: Added new .zip files which update the outfit components for the Seasons patch's 'Cold Weather' and 'Hot Weather' categories. If you are installing one or more of these outfits for the first time, the original zip file is now obsolete, so please just download the 'Updated for Seasons' .zip file(s) and use those instead of the ones that were in the original zip file. If you already have one of these outfits installed, then download the Updated zip(s) and let the package(s) inside it overwrite your old one(s). Then go into Full Body outfits in the Cold and Hot Weather categories and click on the outfit item(s) to make sure they're enabled. (In the case of the S.A.M. outfit, be sure to click on the hat/head item as well as the Null Body.) In the new categories, for those who were using the old version of this creation, you also need to re-select the recolour you were using. 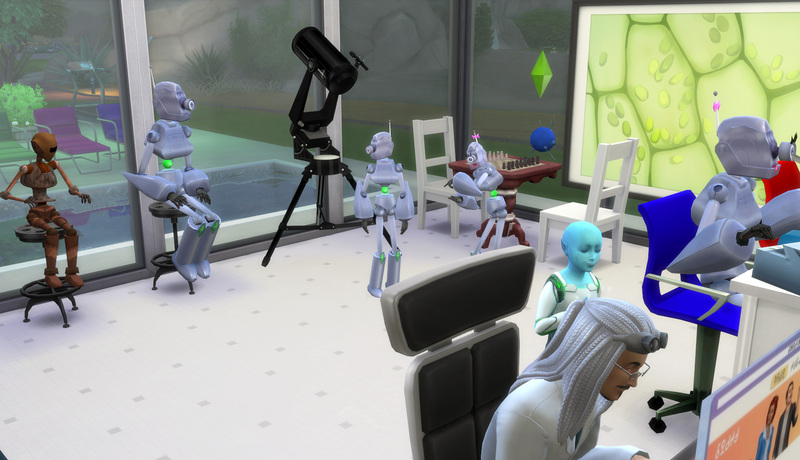 In my recent set of cute robot sims, the 'S.A.M.' series, a comment from member wiseguy2004 asking about the possibility of a child-sized version of S.A.M. got me thinking that it might be fun to have a few child-sized robots. So I made a set of kids' costumes in the form of robot sims I've previously uploaded here. They are for children only and are categorised for all standard clothing categories currently found in CAS. 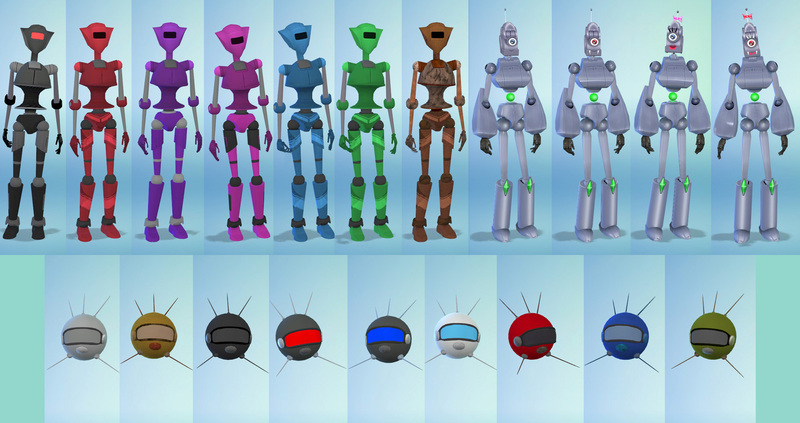 Below are a Plumbot costume in seven recolours, a male and female Servo costume in the default and vampire head recolours its adult version came in, and S.A.M. in the nine recolours its adult version came in. 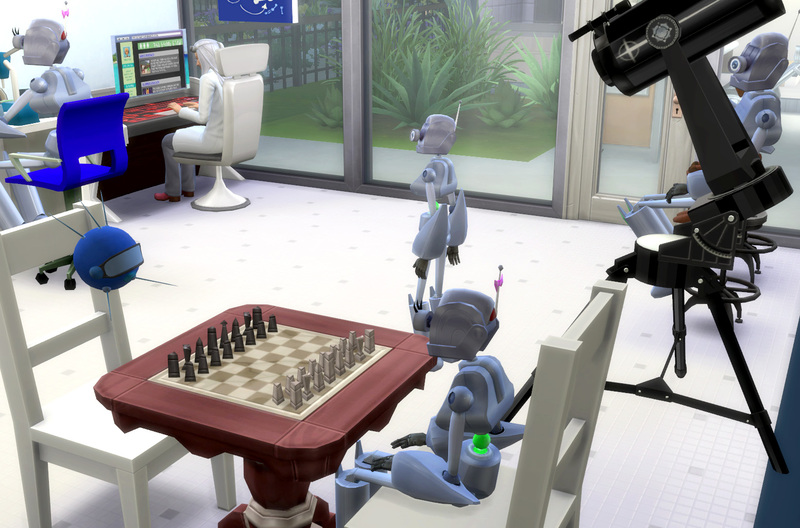 To use them, the Plumbot and Servo are found in Fullbody outfits in CAS, in which both the head and body are combined in one mesh. The S.A.M. outfits are in two parts: one in Hats for the head, and one in Fullbody outfits for the Null Body mesh to cancel out the body. I know it's a bit of a stretch to believe that a sim can cram its whole body into a costume the size of a head, but we have to suspend disbelief in this case! 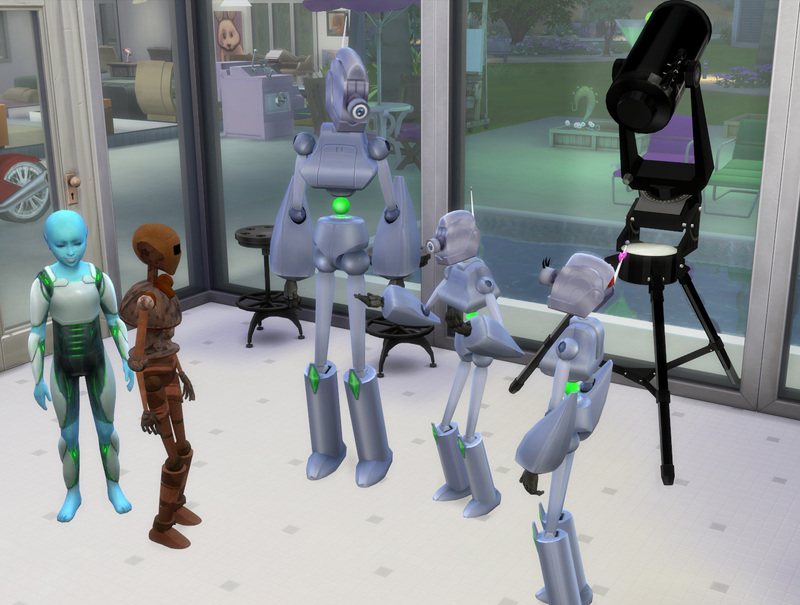 The costumes are disabled for Random, so you hopefully shouldn't get townie robot kids spawning around town. Below, S.A.M. challenges Servette Jr to a game of chess. Minor issue: In making the Plumbot costume, I wanted to get the poly count down as much as possible without totally messing up the mesh, because the original TS3 Plumbot meshes were surprisingly high-poly and I didn't want a simple kids' costume to be overly high. But in the process, the hands have come out looking a little ropey looks-wise and animation-wise. However, this isn't noticeable in-game unless you really look closely at them, so hopefully you'll find it a bearable trade-off to what would have otherwise been an approximately 12,000+ poly combined head and body mesh. Thanks for looking, hope you'll find this useful for either a bit of innocent family fun, or for use as evil tiny robots who have come to take over the world - your choice! Download the zip file and unzip it. Move the .package files to your Documents\Electronic Arts\The Sims 4\Mods folder. Made with S4 CASTools, Sims 4 Studio and s4pe. 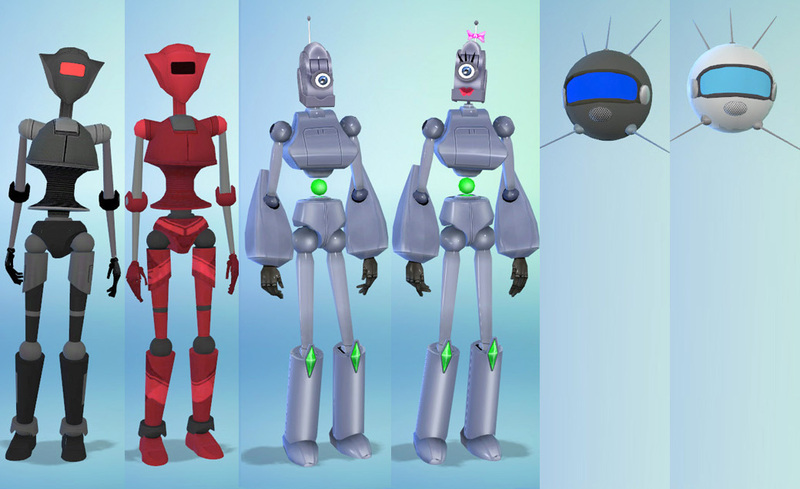 Plumbot and Servo meshes originally by EA/Maxis, S.A.M. meshes by me. 93 people have said thanks to Esmeralda for this download.